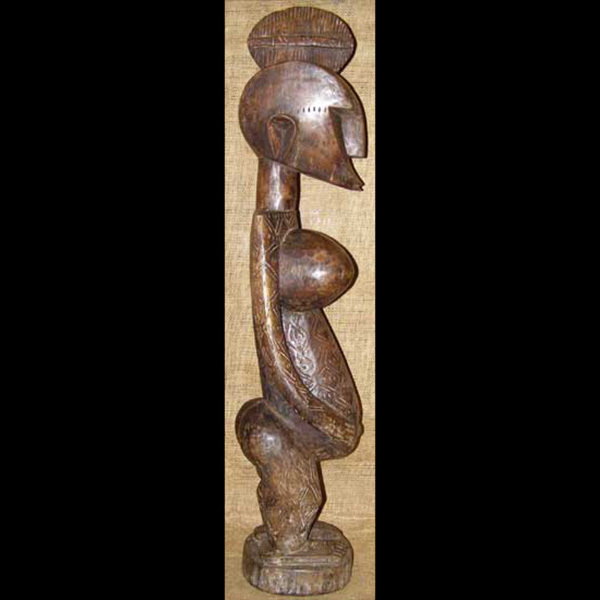 African art and sculpture of the Bambara. 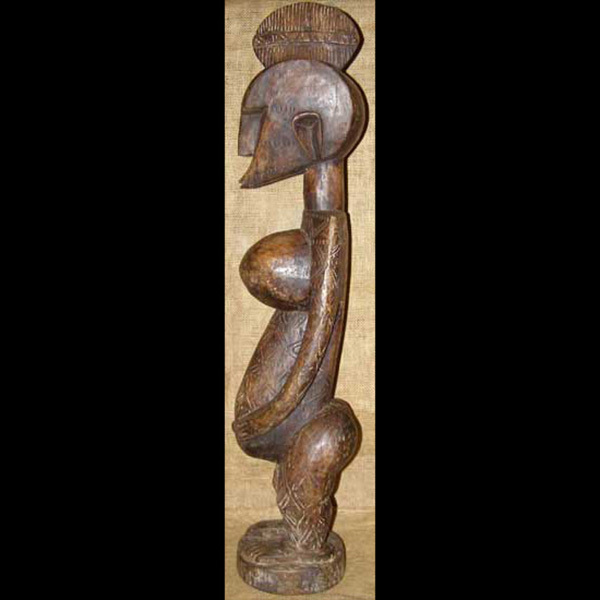 The Bambara People are among the most prolific creators of African sculpture. 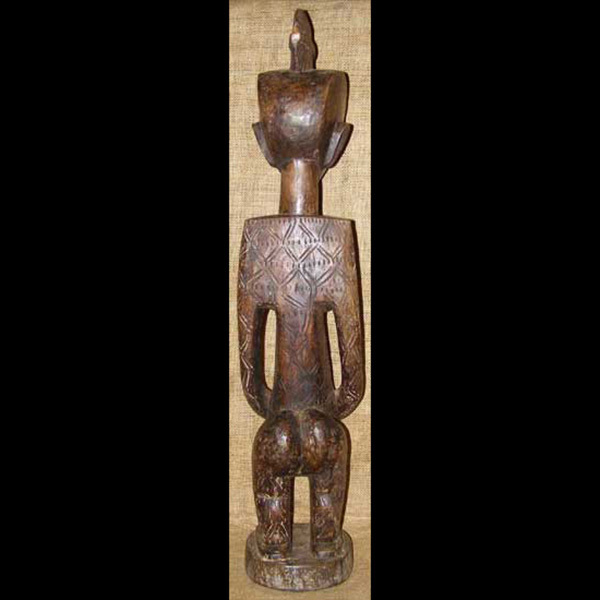 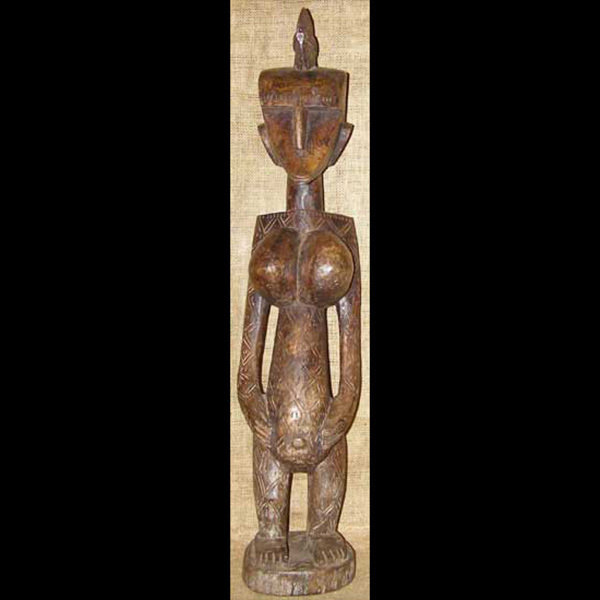 This masterfully carved Bambara fertility statue is 32 1/4 inches tall. 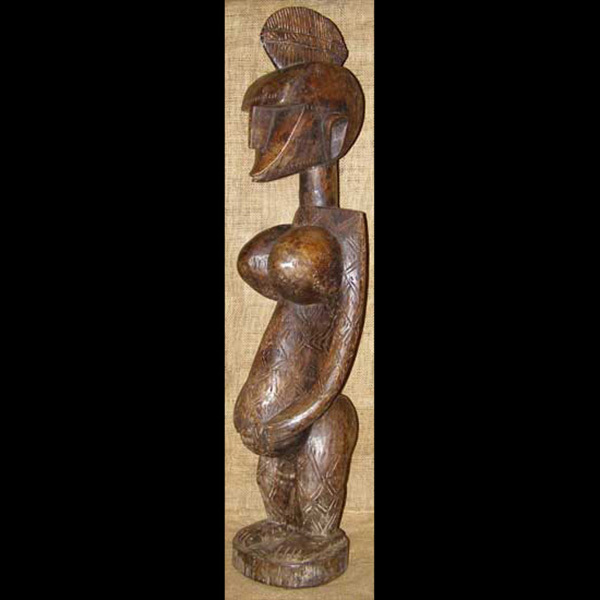 She is identifiable as a fertilty figure by her enlarged breasts and her very pregnant belly. 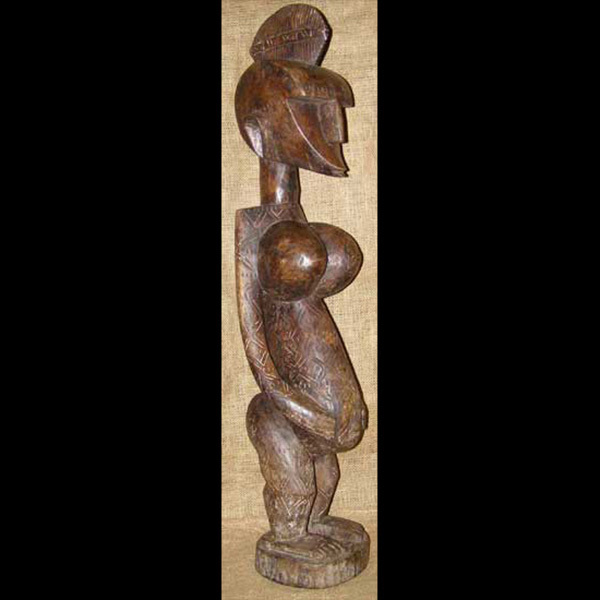 She is heavy at 15 lbs, and stands up beautifully for display.